If I took a poll, I would estimate over 50% of the students would say the food at Cal Poly needs to be vastly improved. In the core of campus, there are a variety of restaurants students can choose from. Open for dinner are 19 Metro Station and VG Cafe where students can use their meal plans. The Avenue, BackStage Pizza, and Sage Restaurant are open as well, but take plus dollars instead of meals. 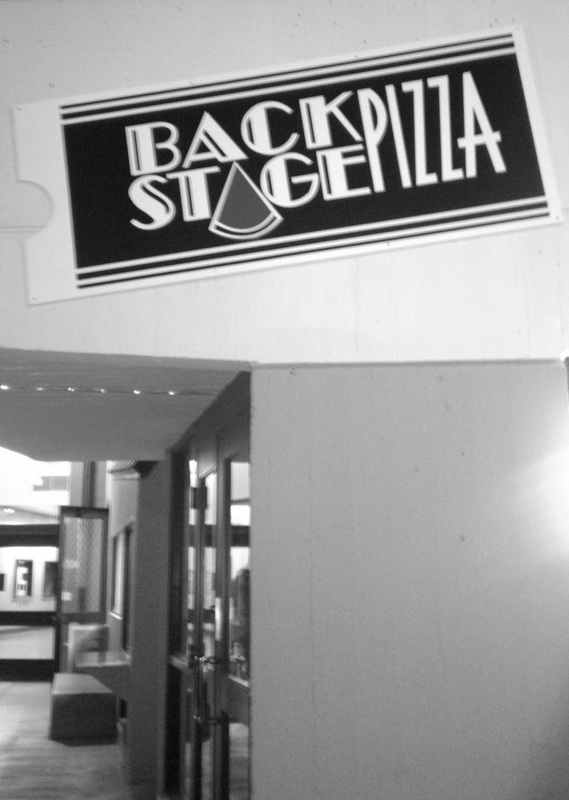 BackStage Pizza is one of the restaurants students can use their plus dollars at. VG’s has a similar layout to Metro. Considering the different food stations and weekly special options, it would be hard to imagine students would disapprove of the food. 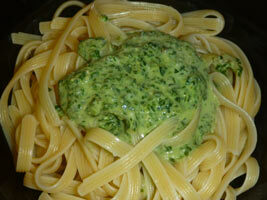 Looking selectively at the calories for a pesto pasta dinner, a student can expect to intake a whopping 1500 calories! This dinner is almost enough for the 2,000 calories a day recommendation most nutrition facts are based on. DETERMINE: PESTO PASTA- HEALTHY OR UNHEALTHY? Eating dinner at Metro Station, I met Mark Starritt. Me: What do you usually order at Metro? Mark: Salad, orange chicken, or pasta (with marinara sauce of course). Me: Did you know how bad the pesto pasta is for you? Mark: Yeah, and not only is the pesto bad for you, it doesn’t taste like pesto either. Mark recommends keeping with simple food names: tortellini or ravioli. “My friends at San Jose State University go into their cafeterias and by swiping their card, they have an unlimited meal. We are very limited at Cal Poly for what we pay.” My friends over at the University of California, Los Angeles have the same unlimited deal. At an athlete’s standpoint this can be frustrating. I am so amazed at the amount of calories that the campus dining food has! Thank you for pointing this out to me! I will be sure to be extra careful of what I eat on campus now due to the fact that a dinner can equal almost a whole day’s worth of food! Yikes! Hi! As a Cal Poly SLO graduate (from eons ago), and a registered dietitian who works for a university campus, I’ve found your blog really interesting! You seem to indicate that students want healthier options and more variety, but specifics would help. If a student at my campus got in contact with me with specific ideas-believe me, we would act on them! But healthy and variety mean something different to everyone…also, my experience is that people want healthy food available, but continue to choose fried foods, desserts, and skip the fruits and veggies. So-I’d love to hear your specific food ideas for healthier, more varied dining on campus!